It could be argued that all Malaysian films are independent. After all, a big part of the reason why independent films are termed as such is because of the effort to counter the ever-growing influence of the studio system at the time. The studio system, with its watertight contracts and excess largess, threatened to lock up almost all of the creative talents within its compounds, letting them out only to make films in the same fashion Henry Ford make his cars. Of course, such definitions cannot be largely defined as clearly as some may have wanted. United Artists, for example, was a studio in its own right, founded by the likes of Charlie Chaplin and Douglas Fairbanks amongst others, but given its attempted creative thrust, it was declared as the first independent studio in America. What does that mean within the Malaysian context, though? Simply put, there are no such things as studios. 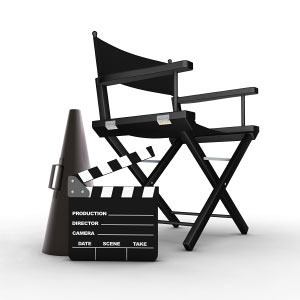 There’s quite a number of production companies and producers who wield enough power to kickstart or end careers according to their respective whims and fancies, but in the strictest terms possible, the Malaysian system can’t quite be compared to the Hollywood system. Even today, the studio system in America doesn’t quite work the same way, even with the continued existence of many of the studios from those years. "It's OK, no one will remember this movie later..."
What do we have, though? There are a number of powerful figures who play their games at a high level. David Teo, after overcoming a rough start with the likes of ‘Mendam Berahi’, has established himself as arguably the most bankable of the producers in Malaysia; this alone, at the time of press, he has released 8 films with a total box-office earnings of over RM28 million. Though the comparatively low count of films this year from SKOP Productions, KRU Studios, Tayangan Unggul and Primeworks may seem to put them in the shade, with the kinds of films that they have released this year (and more in the works), it is still enough to consider them as the antagonists in the reframed independent vs studio system narrative. Reframed, because while the studios may no longer play the same role as they did, the big production companies all understandably make films almost exclusively for money and for money only. The Malaysian film industry can be relatively bankable. This is what I wrote in an analysis of the first half of the Malaysian box-office earlier this year: “As a whole, the Malaysian films made a total of RM41.82 million, for an average gross of RM2.6 million. Given that ‘Belukar’ was the most expensive film released in the first half of the year at the cost of RM2.1 million, the average gross would have seen every film make a decent profit.” Not surprisingly, a host of other production companies also tried to get in on the act. Some, like White Merpati Entertainment (‘Kecoh Betul’) and SDAF Pictures (‘Lu Pikirlah Sendiri’) did enough to make a small profit on their ventures. Others (Preston Zaidan with ‘Belukar’ and Big Productions with the laboriously-titled ‘Andartu Terlampau 21 Hari Mencari Suami’) will probably have second thoughts about their next productions. Though these paths may have been trodden before, but the formula for success remains elusive and exclusive only to some, for now. Continuing with the ‘us vs them narrative’, it is also a factor in defining what independent film is. For it is through these small productions that a lot of non-Malays are able to tell their stories in their own ways. Once in a while, you’ll see a ‘Tiger Woohoo!’ or ‘Ice Kacang Puppy Love’ come through (thanks, Astro Shaw), but by and large, these films, commercially successful though they may be, are rarer than the needle in the haystack in a coal mine. It became the playground for those who are not quite accepted by the mainstream, either the audiences or the producers. Nevertheless, lest they be seen as the rejects of the system, it should be noted that these pioneers of independent Malaysian cinema, like Tan Chui Mui, James Lee and Ho Yuhang, chose to work outside of the mainstream system (though with some exceptions; James Lee’s ‘Histeria’ was an obviously commercial venture with Tayangan Unggul). Neither should we particularly dismiss the role that Malays play in Malaysian independent cinema; Amir Muhammad has long been recognized as a key figure, while Azharr Rudin have also won acclaim for his work. For them, the issue of language, the common denominator in legally defining what a Malaysian film is, is a non-factor. Not that it should be, for in the globalized world of filmmaking, how a film is defined is dependant on where the money to make it come from. As such, films like ‘Ice Kacang Puppy Love’ and ‘At The End of Daybreak’ should not really be placed with the other Hong Kong films in Speedy Videos, because they are ventures with a significant Malaysian stake and financial interest. Alas, that is not a requirement for the entertainment lawmakers of this country. If we apply their logic to the film, ‘I Come With The Rain’, it would simply be known as a Hollywood film, since it’s largely in English. The fact that it’s made using French/Irish/British/Spanish/Hong Kong money, or that it’s directed by a French-Vietnamese, or that it was made in the Philippines and Hong Kong, would not quite matter. A film made in Malaysia, with Malaysian money, shot in Malaysia, starring Malaysians both in front of and behind the camera should be a Malaysian film, shouldn’t it? The next billboard for Najib's 1Malaysia? That’s not quite the case with ‘The Joshua Tapes’. A decidedly independent feature with a low-budget approach, it even fitted in well with the 1Malaysia concept, with a multi-racial and -lingual main cast. Alas, were you seen trying to purchase tickets for the screenings during its limited two-week run at Golden Screen Cinemas, you might also be seen scratching your head, wondering why it’s shown only in the International Screens section. That’s because, being filmed largely in English, it failed to meet a certain percentile dictated, and is thus not officially defined by the authorities as a Malaysian film, per se. Why is this such a big issue? On one level, it has not stopped many independent filmmakers from defining their films as Malaysian. After all, such efforts do not really require an official seal of approval from the powers that be, and these Malaysian films do not lack for nothing in terms of quality and story. Though they may find difficulty in distributing the film in local cinemas, they are feted as award-winners and ground-breakers across our borders. The zenith of this movement came a few years back at the Pusan International Film Festival. One of the major festivals of the world, it recognized the growing prowess of the Malaysian New Wave by giving it its own section, ‘Three Colours of Malaysia’. On another, far more financial level, it does matter, because there is a tax break involved for films officially defined as Malaysian. For those not in the know, there is a certain amount of tax collected for Malaysian films, and 20% of these can be returned to the film producers by the year’s end. This could be a significant or insignificant amount, depending on who you are and the kind of money you generate. If, for example, your film RM4.26 million, you’re entitled to get back almost RM900,000 (which, incidentally, is about as much as it cost to make ‘Andartu Terlampau’). If your film happened to be ‘Ice Kacang Puppy Love’…then you can wave goodbye to all that money. It is a little bit confusing, I have to admit, with Golden Village Pictures (Singapore) popping up on credible links like IMDB as its distributor and what not (I myself had initially believed it to be produced by Primeworks; it’s actually Asia Tropical Films. Which is still a Malaysian company, mind you), but it shouldn’t have been enough to have that amount of money denied to them. It appears to be the domain of only the mainstream filmmakers, those whose commercial ventures sees themselves being rewarded even more. 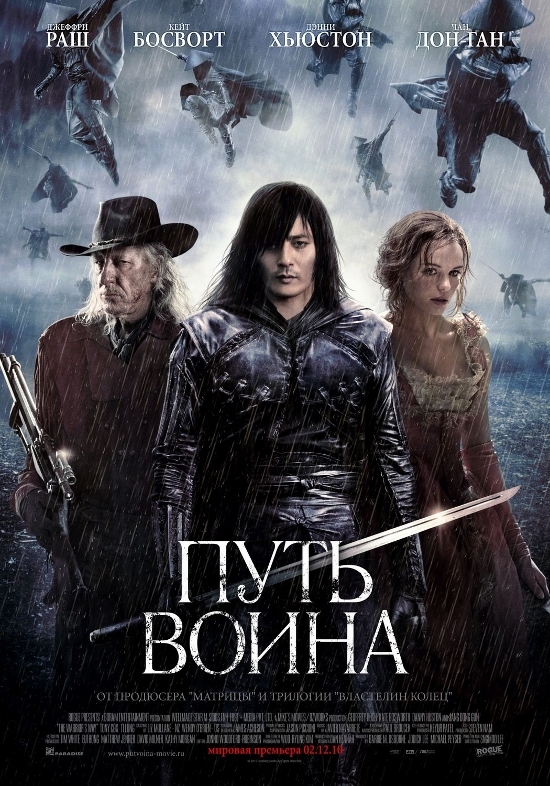 My lecturer's Korean/New Zealand co-production's poster...in Russian. Having said that, just as independent films need not be considered as exclusively non-Malay or without commercial value, not all Malaysian mainstream/commercial films deserve to be tarred with the one image either. While a large number of them tend to be brainless at the best of times, it doesn’t mean that all are wooden acting without a purpose. Some have even used this as a form of satire, and so should be recognized as such. Watch ‘Zombi Kampung Pisang’ once again, and bear in mind the histories of the respective actors, as well as the education context of the time (in 2007, Malaysian universities were not included in the Times Higher Education Top 200, while the Public Service Department announced that it would finance only those who could get into famous institutions overseas), and phrases that takes a sly dig at the SPM should not be let go without further consideration. Certainly not when it was mentioned not once, not twice, but three times! There is room for Malaysian mainstream to be smart, not just for the filmmakers, but also for the audience to read it as such. Where do we go from here, though? Perhaps, in my opinion, what we need to do is to see how we define what a Malaysian film is. There is a growing support for the dismissal of the 70% Malay language requirement. As I have mentioned before, with filmmaking becoming a more global enterprise than ever before, it would not do to be held back by a law that would does not hold enough water. It would help to improve the figures for the box office takings; this year’s box office would look more impressive with the inclusion of ‘Tiger Woohoo’ and ‘Ice Kacang Puppy Love’, wouldn’t you agree? It would also give more of an incentive for others to try and crack the market with a non-Malay-languaged film as well, giving rise to a number of different approaches that might help to freshen up the whole film industry. In the long-term, should such an endeavor succeed, it might even help to reduce the brain drain that sees a lot of non-Malays pick up their entertainment bags and fly for distant lands. Maybe that might work with a deeper look and reconsideration of not just what Malaysian films are, but also what Malaysia is to each and every one of us. Ultimately, though, I think the biggest step to come is one that is arguably the most interesting and yet most original and basic of all. Perhaps once we have come to see ourselves as more than who we really are, more than just Malays or Malaysians (or otherwise); maybe what we, as its makers and audience, need to break free from is ourselves, and look at filmmaking and film spectating without any racial, social, linguistic, political or geographical boundaries. Perhaps the time has come for us to look at films as what it is: the telling of stories about life. Films, after all, is life itself. Expanded from the talk, ’24Frames, 1Malaysia: Reframing Perceptions on Malaysian Cinema’, delivered by Fikri a short while ago. And just for fun, check out the trailer for the upcoming KRU Studios production, ‘The Malay Chronicles: Bloodlines’. How would this film be defined by the powers that be?